My book, The Water Doctor’s Daughters, is the biography of a dysfunctional family, but it is also Victorian era true crime. It centres on the case of French born governess Mlle Celestine Doudet. In 1855 the governess was tried over the deaths of her two young English pupils, Marian and Lucy Marsden. She was also charged with ill-treating their three siblings; Emily, Rosa and Alice. The girls’ father, Dr. James Loftus Marsden, had sent his daughters to a school the governess had established in her Paris apartment. 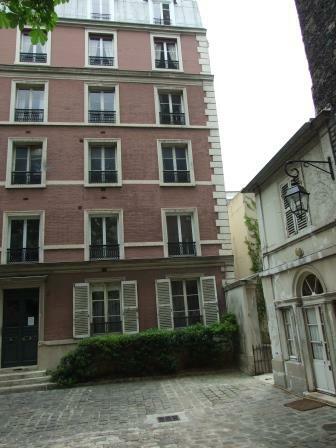 It was located on the first floor of a building near the Champs Elysees. The apartment complex has changed very little. Apart from her sister Louise, Doudet’s strongest supporter was Mrs Julie Schwabe, wealthy widow of a Manchester linen manufacturer. Mlle Doudet had previously been employed as governess to the Schwabe children. 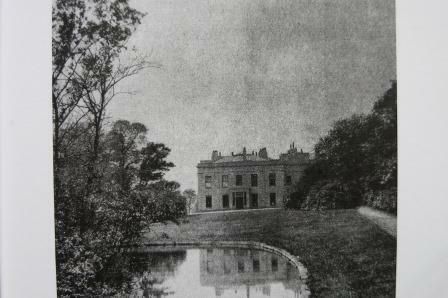 The Schwabe mansion, Crumpsall House. I have this morning received your letter and box of papers. The arrival of such a heap of documents leaves me but one course. It is incumbent on me to represent to you that I cannot enter on the examination of a case which requires to be pursued through such a labyrinth. I had begun to read the account of Miss Doudet’s trial, but I now abandon it in despair. My life is a busy one, my thoughts are intently set upon a new book, [the serialized Little Dorrit] I am surrounded by occupations which have their plain ends and uses, I have innumerable correspondents who have a right to my punctuality and attention, and I cannot plunge into this sea of distraction. I have no other impression of Miss Doudet’s case, than I have of any other case in which a person has been tried and found guilty and has been in no wise benefitted by an appeal. That she does not want friends, your generous devotion and that of the lady whom you mention, sufficiently assures me. To waste my energies in turning from the work and duty that I have clinging to my sleeve, to wander through a maze like this, would be to write my life and purpose into the sea-sand now lying before my window. I will immediately send the whole of the papers to the Household Words office in London, addressed to you, to the care of Mr. Wills there. That gentleman will send them on to any address you may forward to him for that purpose. 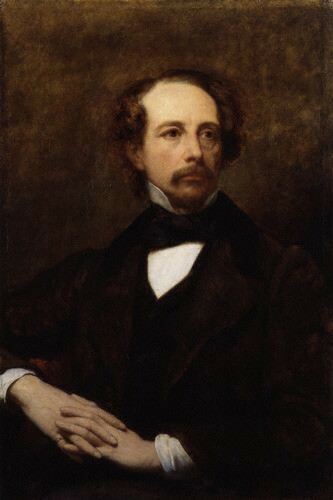 In November that year, Dickens left to spend the winter in Paris, where his portrait was painted by the fashionable artist Ary Scheffer, another Doudet supporter and a close friend of Julie Schwabe. Several years earlier she too had sat for Scheffer. His resulting portrait of Mrs Schwabe appears in my book. One wonders whether the predicament of the governess was raised during the famous novelist’s daily sittings! A RELATED STORY ABOUT THE FRENCH DOCTOR WHO PERFORMED A POSTMORTEM ON LITTLE MARIAN MARSDEN APPEARS HERE. NB – If you would like to leave a comment, scroll down to the box provided. Before you press SUBMIT, scroll down a little further and complete the anti-scam sum. With the characters of renown from history that your book portrays, I’m believing your book will be read with great interest. The Victorian era holds a fascination to all who love the advent of the industrial period. and its influence on their way of life. I love the photos you have used. I have written in the 1850’s as well, but in a different place and with a different class of people. All the best for future writing. enthusiasm and energy of the era as well as all the moral complexities. Yes, Pauline, I agree with you – Dickens was probably moved more by the children’s plight than by the governess’s situation. (I like your reference to Wackford Squeers!) And I love the tone of Dickens’ reply – ‘go pester someone else’ is about the sum of it! Thanks for including the letter here – a wonderful detail from a great true-crime book! Mrs Schwabe also wrote to her good friend and well known MP Ricahrd Cobden. His response was negative as well, albeit more diplomatic!